The World-Famous Harlem Globetrotters will set to thrill Singapore in April! You are at:Home»ENTERTAINMENT»The World-Famous Harlem Globetrotters will set to thrill Singapore in April! 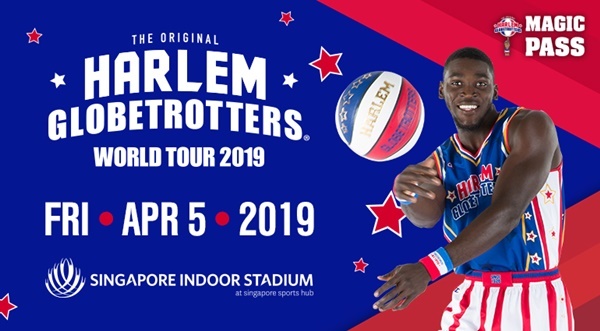 The world-famous Harlem Globetrotters will thrill Singapore with their iconic brand of entertainment basketball as part of their 2019 Fan Powered World Tour on 5 April at the Singapore Indoor Stadium. Following their hugely successful tour of Australia in 2018, the Owner and Executive Director of the Australian National Basketball League Larry Kestelman said he was delighted to continue and expand the Harlem Globetrotters partnership to Singapore. “The Harlem Globetrotters have entertained millions of people all over the world for 93 years, and we excited to bring them to Singapore for their only show in South East Asia,” he said. Tickets are available to the Harlem Globetrotters 2019 Fan Powered World Tour from 10:00am SGT, Tuesday 22nd January for select groups, and to the general public from 10:00am SGT, Thursday 24th January. Tickets start from $29, with family packages (2 adults and 2 juniors) also available. 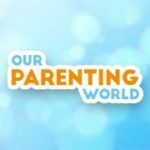 Ticket holders can upgrade their tickets with a Magic Pass. Magic Pass holders will get to go on court for a 30-minute pre-show exclusive interactive experience with the players. First formed in 1926 in Chicago, the Harlem Globetrotters were perennial participants in the World Basketball Championships, winning it in 1940. Over time as they worked comic routines into their act, they became known for entertainment. They are widely recognised as the pioneers in popularising the slam dunk, fast break, the forward and point guard positions, and figure-eight weave. 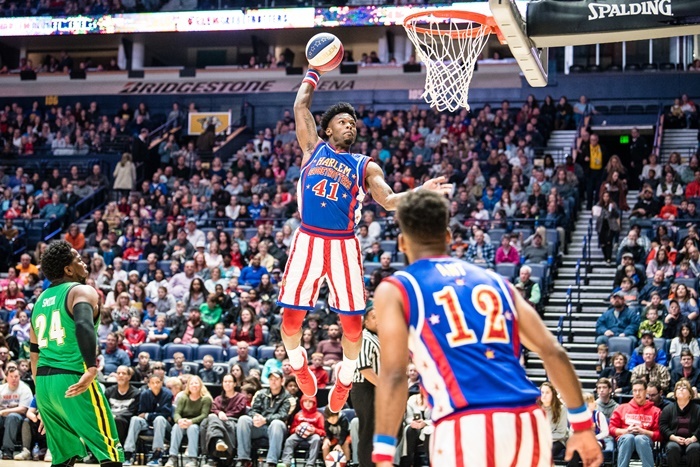 Today, the Harlem Globetrotters bring their unique basketball skills and wizardry have thrilled millions of fans around the world, entertaining families and breaking down barriers and social divides. They have performed for multiple charity organisations and collaborated with STOMP, Philadelphia 76ers, Arsenal Football Club, Stephen Curry and the US Gymnastics team amongst others. The Globetrotters currently hold 21 Guinness World Record Titles, having set an amazing 5 new records on Guinness World Records Day in 2018 including the most basketball under the leg tumbles in one minute (32) – its first record set by a female player. For the latest news and information about the Harlem Globetrotters, please visit the Globetrotters’ official Web site: www.harlemglobetrotters.com and follow them on Twitter @Globies.